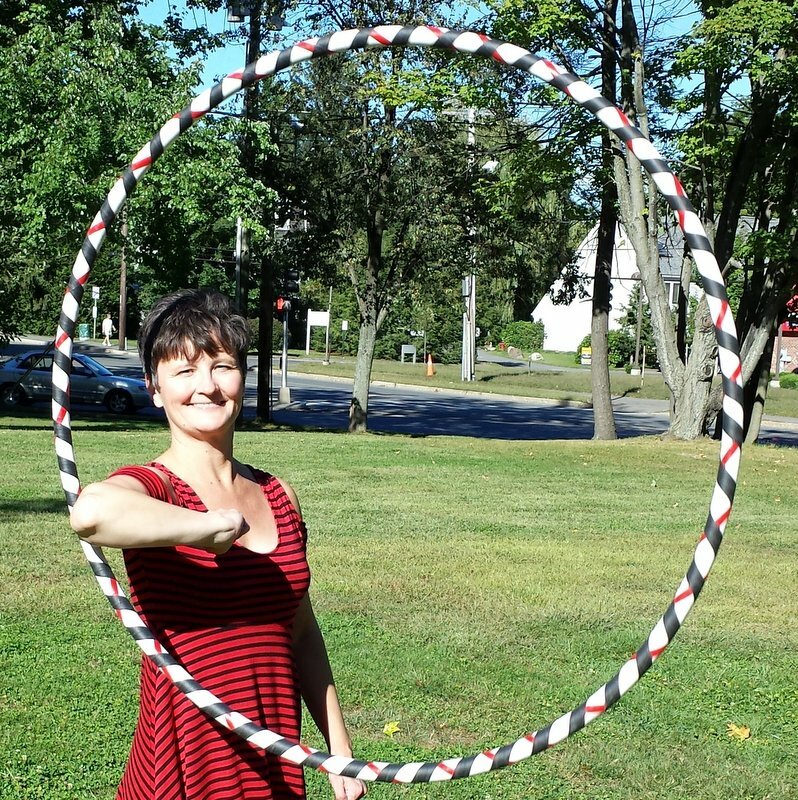 Stephanie O’Keeffe tried her first adult hoop at the Taste of Amherst years ago, and the fun of that always stuck with her. 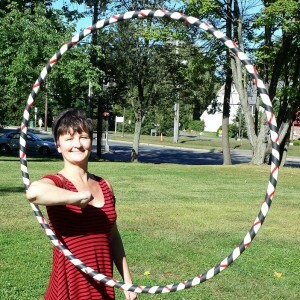 She got hooked in 2012, when she bought a hoop online as a birthday present to herself. The exhilaration, the silliness, the joy of the movement, the thrill of discovering your own dance – it all needed to be shared, and Stephanie has been doing that ever since. She spent nearly a year hosting hoop jams every Sunday, first in Kendrick Park, then indoors through LSSE once the weather got cold. 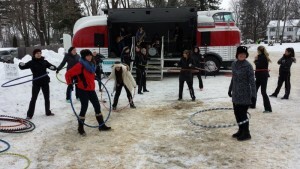 Then she earned a hoop instructor certification. Then she and her hoops became a regular attraction at local community events and fundraisers. She even brought an armful of hoops on a cruise ship, to spread the hoop joy on the high seas! 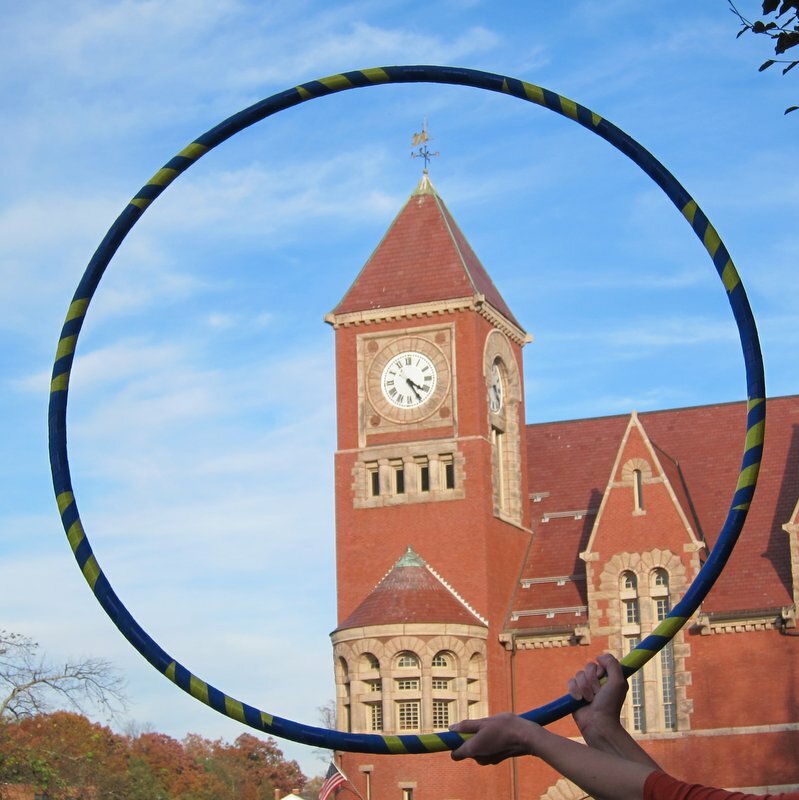 Ultimately, Stephanie decided that while getting people to hoop for a few minutes was lots of fun, the real benefit to folks was getting them to make hooping a regular part of their lives. 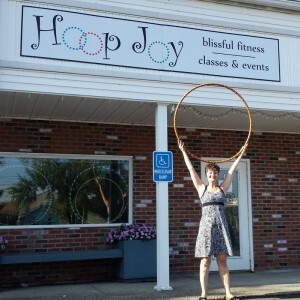 So she opened the Hoop Joy studio. 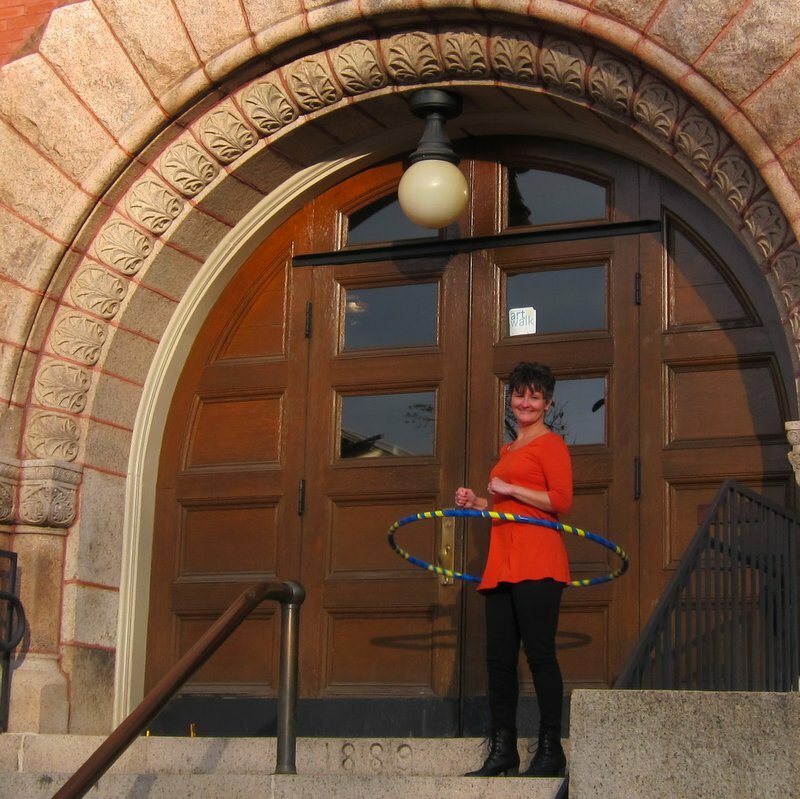 Through classes and non-instructional hooping opportunities, she aims to help people discover the incredible mental and physical benefits of hooping. Why? Because it creates instant happiness: playing, like when you were a kid; moving your body in ways that are both meditative and invigorating; discovering your ability to control and flow with these pretty circles. That fun – the hoop joy – is the primary attraction. But then a funny thing happens. While you’re busy enjoying your new personal dance, you’re also losing stress, burning lots of calories, toning lots of muscles, strengthening your core, improving your balance, increasing your flexibility, and more. 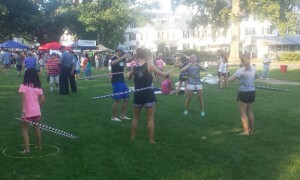 This all promotes healthy aging and is truly blissful fitness. 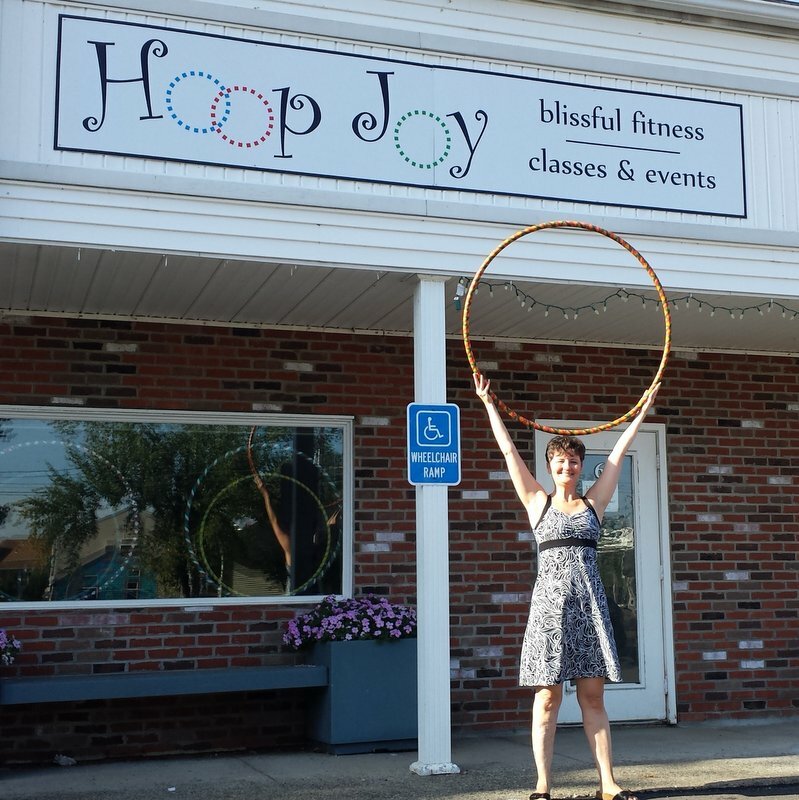 Let Stephanie help you discover hoop joy. Seems familiar, but you just can’t place her? Stephanie served as Chair of the Amherst Select Board, 2008 – 2014.